Walt Disney has an established place in the hearts of many, both young and old alike. Whether you grew up watching Disney movies every day, or had a dream vacation at Disney World, you’ll agree that the name “Disney” is synonymous with childhood, magic, and fun! Having always been a fan of Disney movies, I was surprised to learn how important Bank of America was to our favorite mouse and his friends. I recently came across Bank of America’s Heritage page. Bank of America is a national bank with almost $2.2 trillion in assets, and its heritage page is an informative and interesting page highlighting the roles Bank of America has played in U.S. history. Some of the historical blurbs mentioned on this page are the Great Fire of Chicago and the role that the Merchants Savings Loan and Trust Company (Bank of America's oldest heritage bank) had in rebuilding the city; the first bank that allowed women to manage their own finances; and the author of our national anthem, Francis Scott Key, who was both a customer of and the attorney for Bank of The Metropolis (another Bank of America heritage bank). All of these historic events, places, and people are connected to Bank of America, and they’re all definitely worth taking a look at. However, the thing that really caught my eye was the blurb stating that Bank of America financed the first full-length animated movie in theaters. I already knew that the first full-length animated movie made was Snow White and the Seven Dwarfs; what I didn’t know was that Bank of America helped to make it possible. Snow White and the Seven Dwarfs was the beginning of the Disney princess franchise, but it was also the beginning of a wonderful partnership between Bank of America and Disney. After Snow White, Bank of America financed Bambi, Cinderella, Dumbo, Fantasia, Peter Pan, and Pinocchio, all classic Disney movies and the favorites of many. (I tried researching to see if Bank of America also financed my personal favorite Disney film, Beauty and the Beast, but didn’t get any definite results. I’ll keep you posted!) However, the magic didn’t end there. Every child’s favorite place, Disneyland, was financed by Bank of America, who obviously saw Disney’s potential and determination. Disney’s dream of a magical kingdom sounded almost too good to be true. Not everyone was confident in the idea of Disneyland, however. Bank of America notes that Walt Disney’s own brother, Roy, said that a "fanciful, expensive amusement park would lead to financial ruin." I bet Walt was more than happy when he proved him wrong! Bank of America’s association with Disneyland didn’t end with just financing it, however. When Disneyland opened on July 17, 1955, Bank of America had a fully-functioning branch on Main Street. Disneyland’s Bank of America branch remained open until 1993, when ATMs meant that a bank was no longer required. The Disneyland branch had an original bank vault from the early 1900s, and after the branch closed, the site was known as the Bank of Main Street, even though it stopped functioning as a real bank. In fact, the Bank of Main Street had to get special permission to call itself a bank, since it technically wasn’t one and was mostly used as an annual pass center. Up until that point, however, both guests and cast members (A.K.A., Disney employees) could take care of their banking needs right at the park. 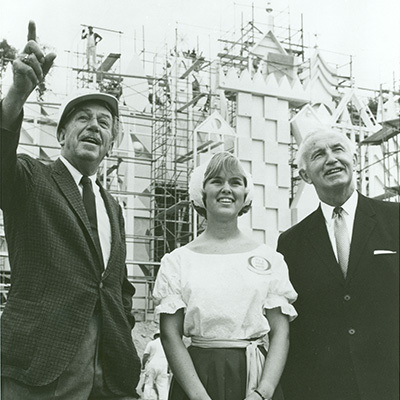 Bank of America also sponsored the rebuilding of It’s a Small World in 1966 - and now that you’ve thought of it, good luck getting that tune out of your head! It’s a Small World had been exceptionally popular at New York’s World Fair, which lead to it being rebuilt. And Bank of America’s credit card, BankAmericard, was the first credit card that Disneyland accepted. 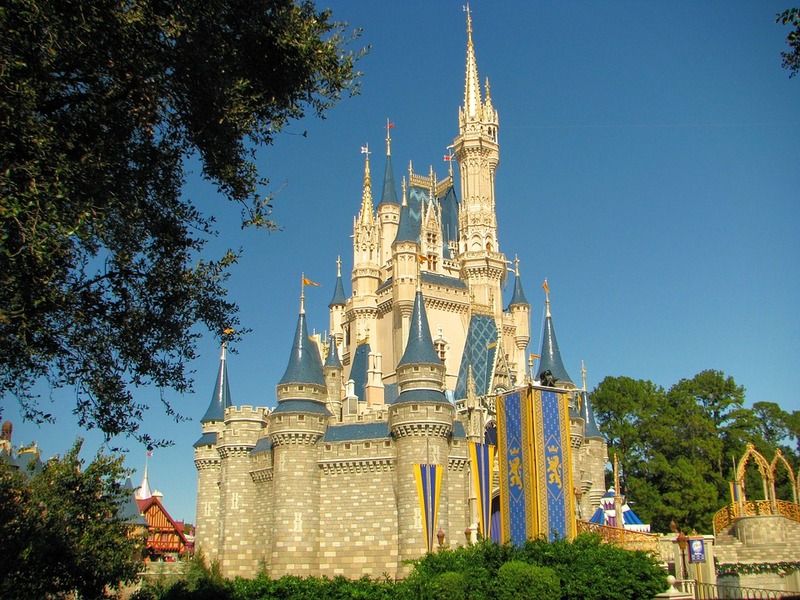 With the success of Disneyland, Bank of America also financed Walt Disney World, which opened in Florida in 1971. When news got out that Disney was building Disney World, land values around the site went from $180 per acre all the way up to $80,000 per acre! From 1938, when Snow White and the Seven Dwarfs came out, to 1986, when Bank of America helped to arrange a 10 billion yen transaction so that the Walt Disney Company could extend to Japan, Bank of America and Disney have a rich history together. Who would’ve thought that the magic that captured our hearts as children was financed repeatedly by one of the largest banks in the U.S.? It just goes to show you the important role that banks have in our society. Not done reliving your love of all things Disney? 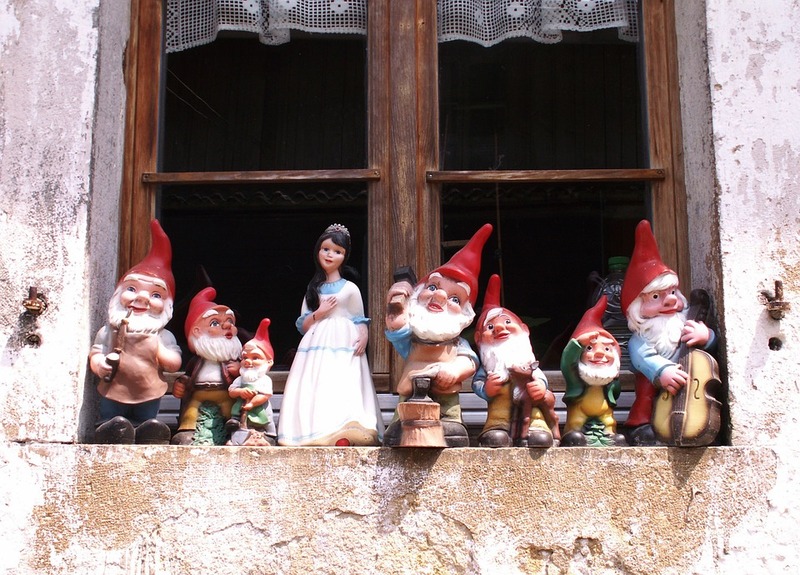 Enjoy these fun facts about Snow White and the Seven Dwarfs, courtesy of Buzzfeed. 1. Walt Disney had the idea to do a retelling of Snow White and the Seven Dwarfs when he was just 15. Talk about achieving your dreams! 2. Proposed (but rejected) names for the dwarfs included Jaunty, Blabby, Dirty, Gabby, Biggy-Wiggy, Gaspy, Gloomy, Awful, Deefy, Hoppy-Jumpy, Hotsy, Nifty, and Shifty. I bet Awful and Shifty would have been interesting characters indeed. 3. Lucille La Verne was the voice of both the Evil Queen and the Old Hag that the Evil Queen turns into. She created the voice for the Old Hag by removing her dentures! 4. At the end of the movie, Snow White only kisses six of the dwarfs, but not Sleepy. What did Sleepy do that made him not get a kiss?! I sense that someone is playing favorites here. 5. Adriana Caselotti, the voice of Snow White, was held to a strict contract that said she was never allowed to perform in film or on stage again. This was because Disney wanted to keep Snow White’s voice unique. However, she has an uncredited voiceover in The Wizard of Oz. She says “Wherefore art thou, Romeo?” in the scene where the Tin Man sings.